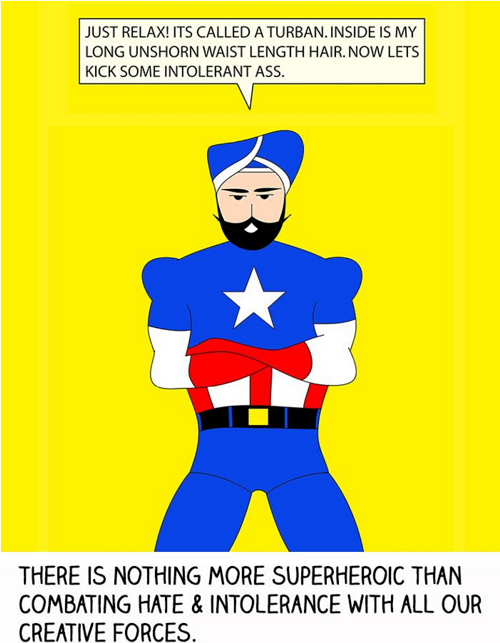 On the morning of September 11, 2001, graphic novelist and Sikh Captain America Vishavjit Singh was working in his office just north of New York City. 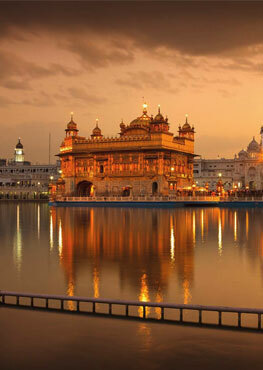 In this illustrated feature, Singh explains how the events of that day changed his life. 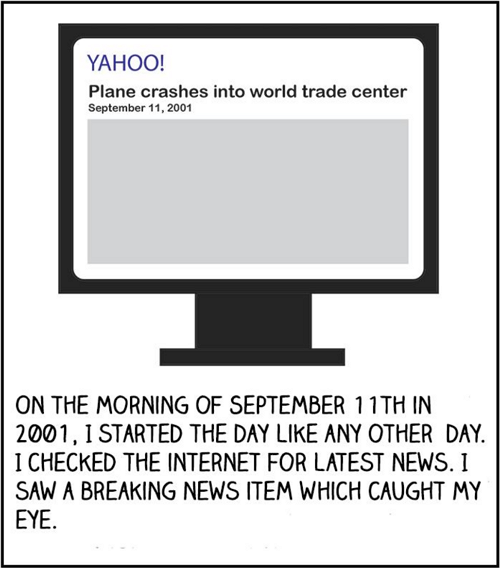 On the morning of September 11th in 2001, I started the day like any other. I checked the internet for latest news and saw a breaking news item which caught my eye. 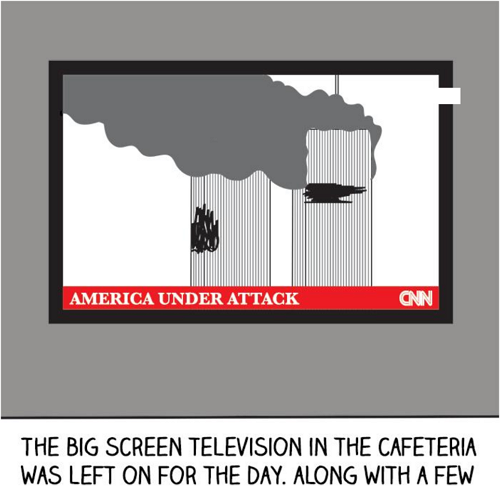 The big screen television in the cafeteria was left on for the day. 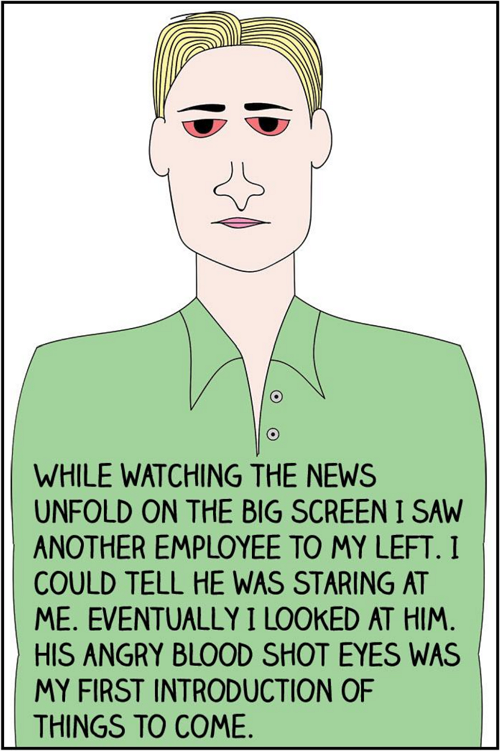 Along with a few coworkers I saw the tragedy unfold on cable news networks. While watching the news unfold on the big screen I saw another employee to my left. I could tell he was staring at me. Eventually I looked at him. His angry blood shot eyes was my first introduction of things to come. As hours went by and news came in about the people behind the attacks, me and my brother went to our Polish-American boss. We explained to him the potential challenges for Americans like us. He allowed us to work from home for the next few days. 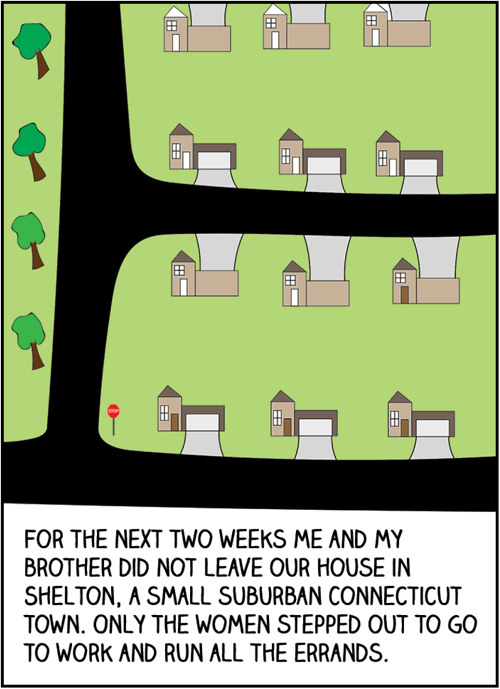 For the next two weeks me and my brother did not leave our house in Shelton, a small suburban Connecticut town. Only the women stepped out to go to work and run all the errands. 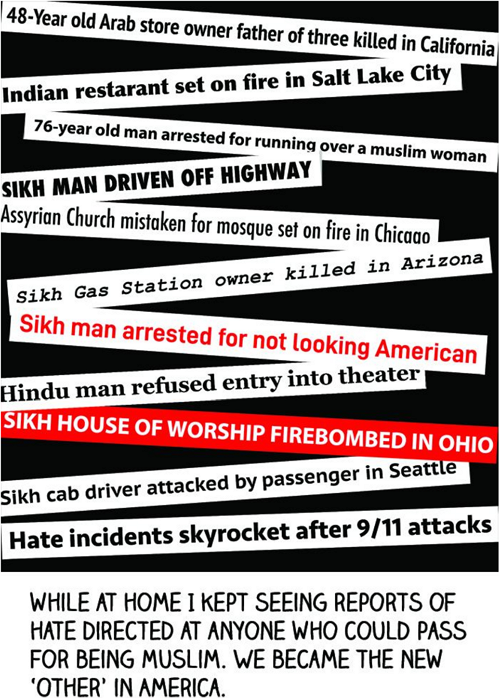 While at home I kept seeing reports of hate directed at anyone who could pass for being Muslim. We became the new “other” in America. I returned to work after two weeks. 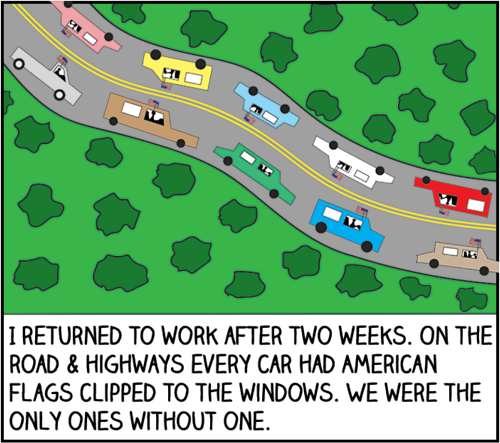 On the road and highways every car had American flags clipped to the windows. We were the only ones without one. Just about every driver and passengers on the road had a response to me and my brother. 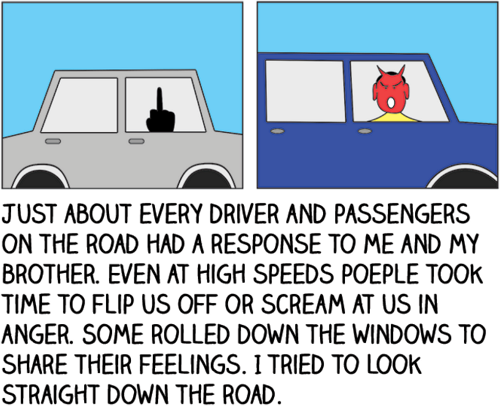 Even at high speeds people took time to flip us off or scream at us in anger. Some rolled down the windows to share their feelings. I tried to look straight down the road. 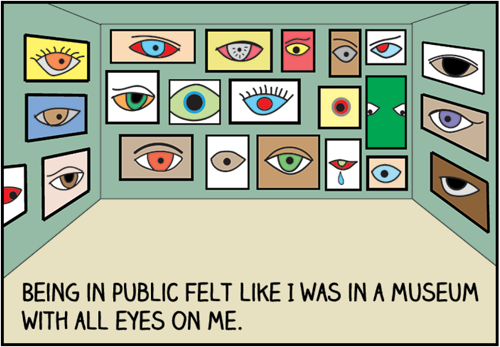 Being in public felt like I was in a museum with all eyes on me. 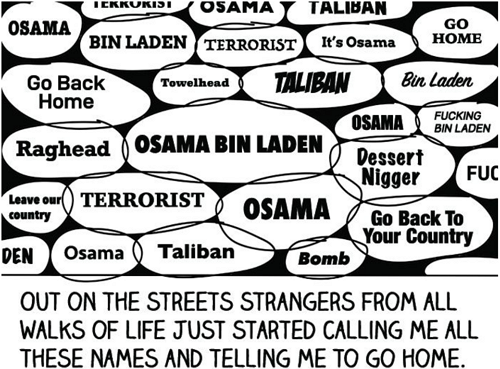 Out on the streets strangers from all walks of life just started calling me all these names and telling me to go home. 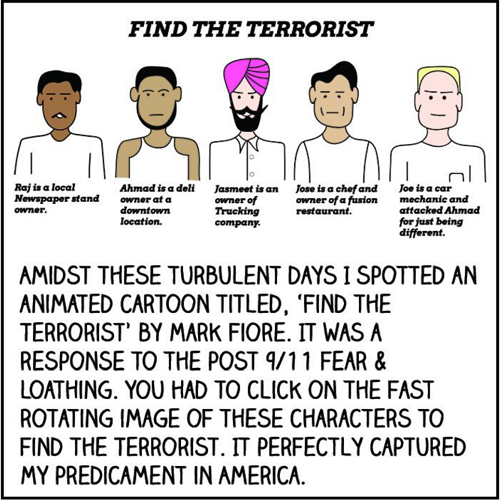 Amidst these turbulent days I spotted an animated cartoon titled “Find the Terrorist” by Mark Fiore. It was a response to the post-9/11 fear and loathing. You had to click on the fast rotating image of these characters to find the terrorist. It perfectly captured my predicament in America. Months later I found my voice through cartoons. 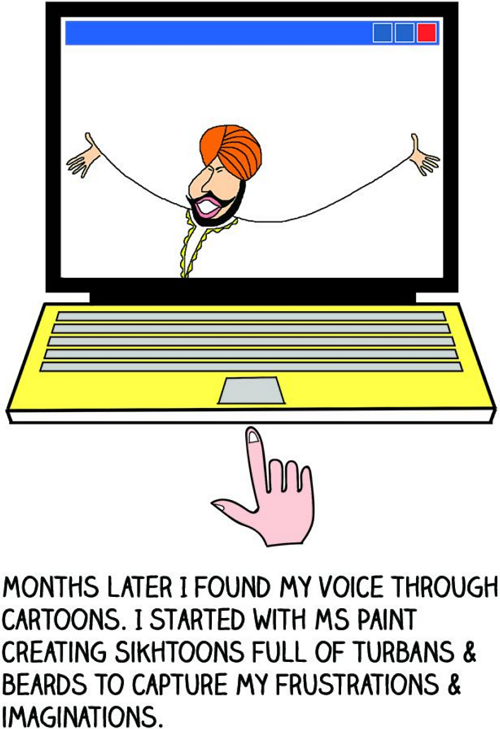 I started with MS Paint creating Sikhtoons full of turbans and beards to capture my frustrations and imaginations. 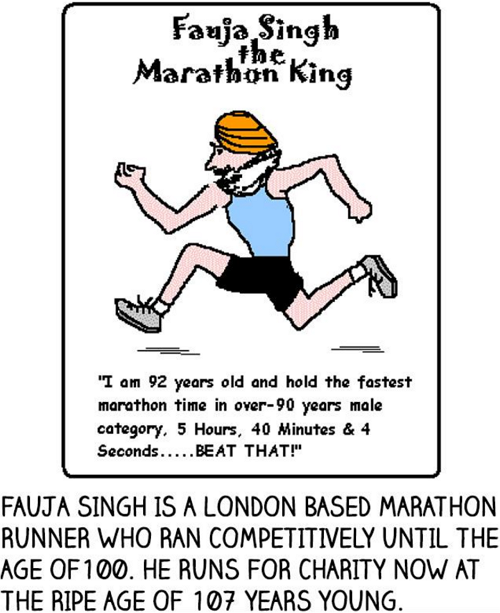 Fauja Singh is a London-based marathon runner who ran competitively until the age of 100. He runs for charity now at the ripe age of 107 years young. 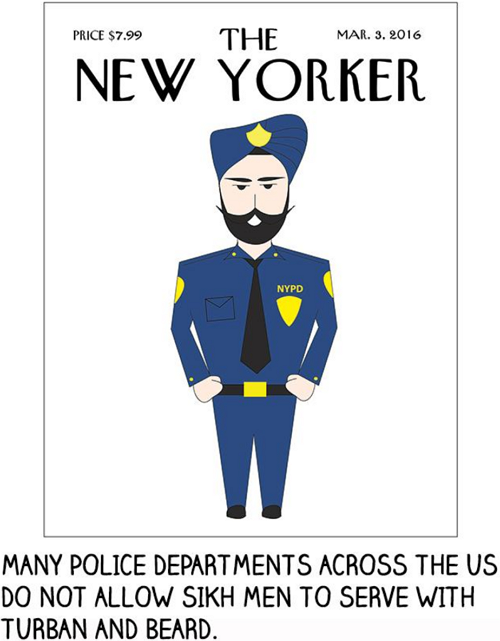 Many police departments across the U.S. do no allow Sikh men to serve with turban and beard. 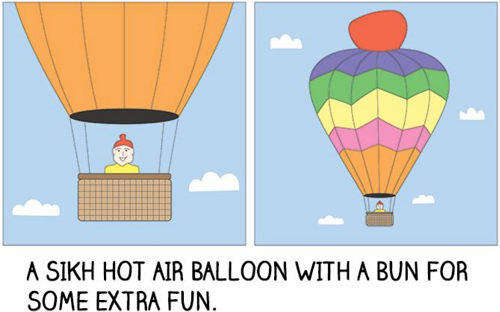 A Sikh hot air balloon with a bun for some extra fun. 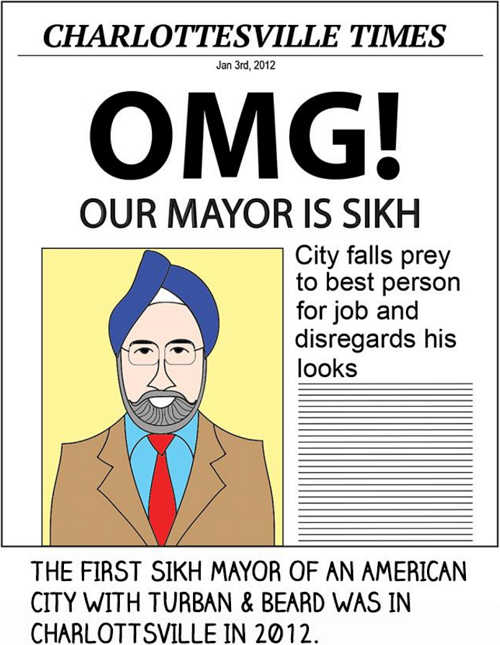 The first Sikh mayor of an American city with turban and beard was in Charlottesville in 2012. There is nothing super heroic than combating hate and intolerance with all our creative forces. 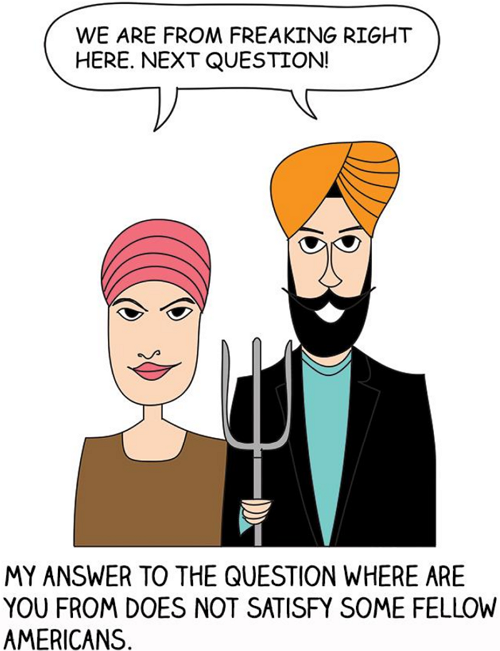 Vishavjit Singh is a cartoonist, writer, diversity speaker, creator of Sikhtoons.com and Creative Arts & Diversity fellow at Sikh American Defense & Legal Education Fund.